Take 1-3 scoops with 4-12 oz. of cold water or juice 30-40 minutes prior to training. Important: For first time users take one (1) scoop for your first 2 or 3 workouts to allow your body to properly assimilate SuperPump250's high dosage of nutrients. Consuming a small meal just prior to using SuperPump250 can also help first time users with assimilation. Caution: Individuals sensitive to stimulants should start by using one (1) scoop to help assess their tolerance. Do not exceed more than three (3) scoops at any given time. Take 1 scoop with 4-8 oz. of cold water or juice. Warnings: Seek the advice of a health care practitioner before use, especially if you have any preexisting or current medical condition or if you are taking any prescription drugs. Do not use if you are pregnant or nursing. Not intended for use by persons under the age of 18. Allergen Information: This Product Contains Dairy (Casein) Reduction. 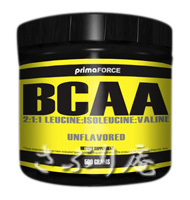 Use ON 100% Casein Protein first thing in the morning, immediately before bed, in place of small meals, and/or any other time when delayed protein absorption is desired. To encourage a positive nitrogen balance, consume approximately 1 gram of protein per pound of body weight per day from a combination of high protein foods and supplements. For even better results, consume your daily protein allotment over several small meals spread evenly throughout the day. Ingredients: Protein Blend (Whey Protein Concentrate, Whey Protein Isolate, Hydrolyzed Whey Peptides), Maltodextrin, Cocoa, Gum Blend (Cellulose Gum, Xanthan Gum, Carrageenan), Natural & Artificial Flavor, Vitamin/Mineral Blend (diMagnesium Phosphate, Calcium Carbonate, triCalcium Phosphate, Ascorbic Acid, Ferric Orthophosphate, d-alpha Tocopheryl Acetate, Boron Proteinate, Maltodextrin, Niacinamide, Zinc Oxide, Manganese Sulfate, d-Calcium Pantothenate, Molybdenum AA Chelate, Selenomethionine, Pyridoxine Hydrochloride, Riboflavin, Beta Carotene, Folic Acid, Biotin, Potassium Iodide, Cyanocobalamin), Brown Rice Syrup Solids, Salt, Sucralose (Splenda Brand), Acesulfame Potassium, Aminogen, Carbogen, Lactase. Directions For Lipo 6 Black: Due to the extreme potency of LIPO-6 Black all label guidelines must be strictly followed. To experience the full UNDERGROUND strength of LIPO-6 Black take 3 Black-Caps in the morning and an additional 3 Black-Caps in the afternoon. Do not take within 6 hours of sleep. NEVER EXCEED 6 BLACK-CAPS PER DAY. For maximum potency and best results LIPO-6 Black should not be taken with meals. Consume at least 30 minutes prior to a meal. Furthermore, LIPO-6 Black has to be used in cycles. A maximum cycle length is 8 weeks followed by a 4 week off-period. IMPORTANT MUST READ: LIPO-6 Black is absolutely not for use by persons under the age of 21. Do not use if pregnant or nursing. Never exceed the recommended maximum dosage. Do not consume synephrine, caffeine or thyroid-boosting compounds from other sources, including but not limited to, coffee, tea, soda and other dietary supplements or medications containing phenylephrine or caffeine or any stimulants whatsoever. This product contains caffeine. Do not use this product for longer than 8 weeks and make sure that usage is followed by a 4 week off-period. Consult your physician prior to use if you are taking medication, including but not limited to, MAOI inhibitors, anti-depressants, aspirin, non-steroidal anti-inflammatory drugs or products containing phenylephrine, ephedrine, pseudoephedrine, phenylethylamine or other stimulants. Consult your physician prior to use if you have a medical condition, including but not limited to, heart, liver, kidney or thyroid disease, psychiatric disorders, difficulty urinating, diabetes, high blood pressure, cardiac arrhythmia, recurrent headaches, enlarged prostate or glaucoma. Discontinue use 2 weeks prior to surgery. Immediately discontinue if you experience rapid heart beat, dizziness, severe headaches or shortness of breath. KEEP OUT OF REACH OF CHILDREN. Plant-derived capsule, vegetable magnesium stearate. Alive! is natural. No artificial ingredients or preservatives. No yeast, milk, lactose, sugar or dairy products. As a dietary supplement, take three capsules daily with food. As a dietary supplement, adults take one or more capsules with 8oz. of water 30 minutes prior to meals. CAUTION: If you are allergic to shellfish, Do Not take this product. If you have concerns or questions about the advisability of taking this product, please consult your physician. As a dietary supplement in addition to regular food intake, take one or more capsules one hour prior to physical training, preferably with juice or protein shake. In a natural base containing all known trace minerals. Also contains microcrystalline cellulose, magnesium stearate, stearic acid, silicon dioxide, and di-calcium phosphate. As a dietary supplement, adults take one or more tablets daily, preferably with meal.